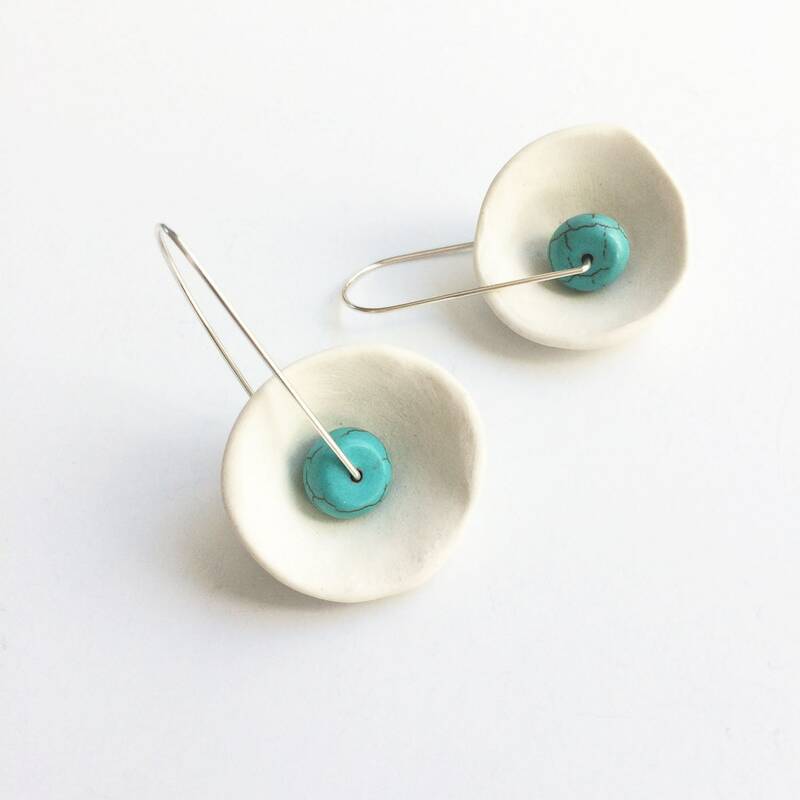 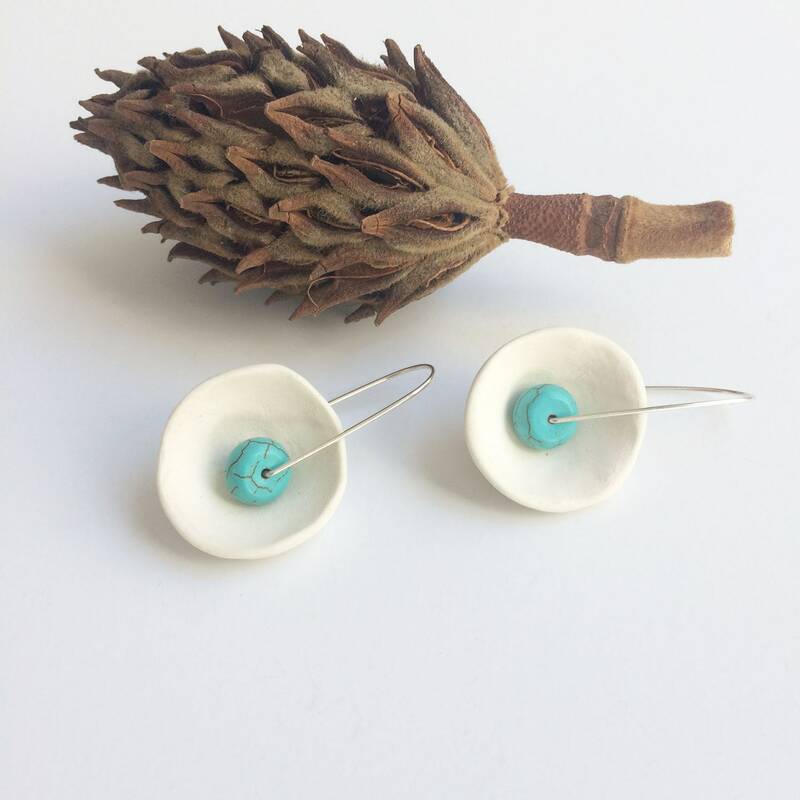 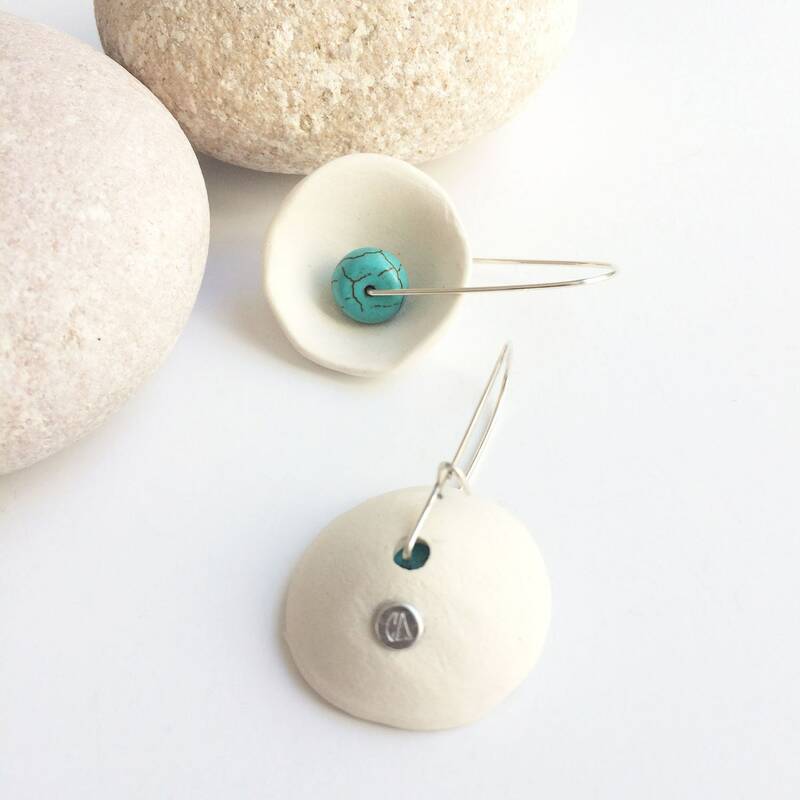 Porcelain and sterling silver earrings. 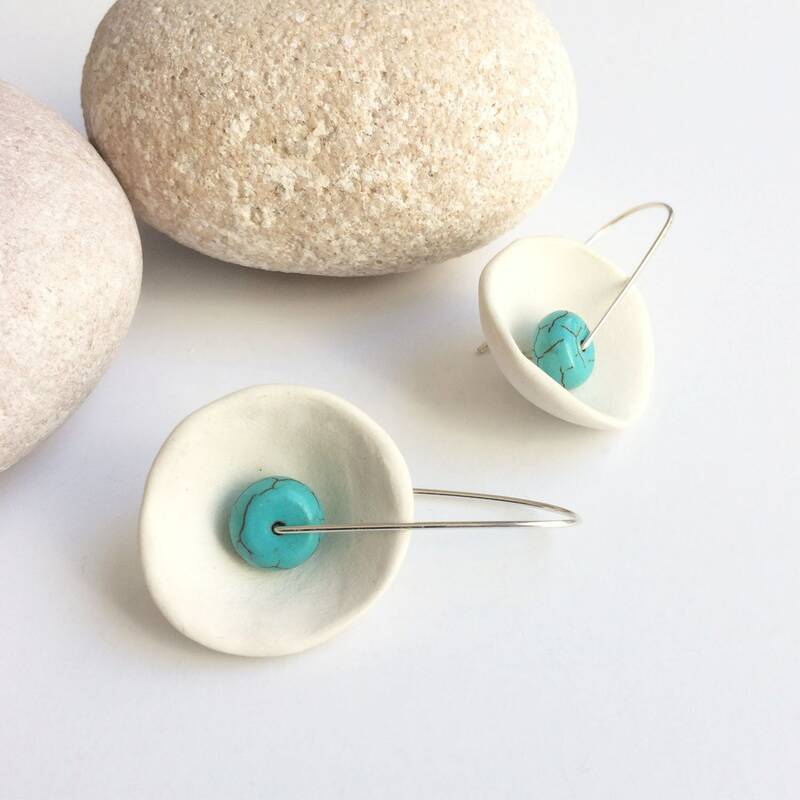 Natural turquoise stones. 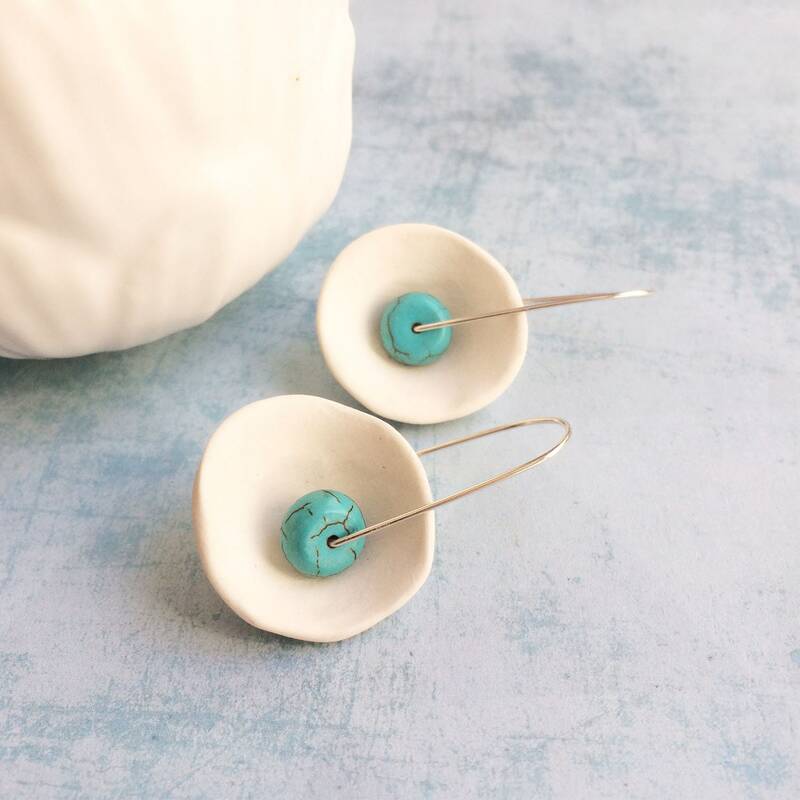 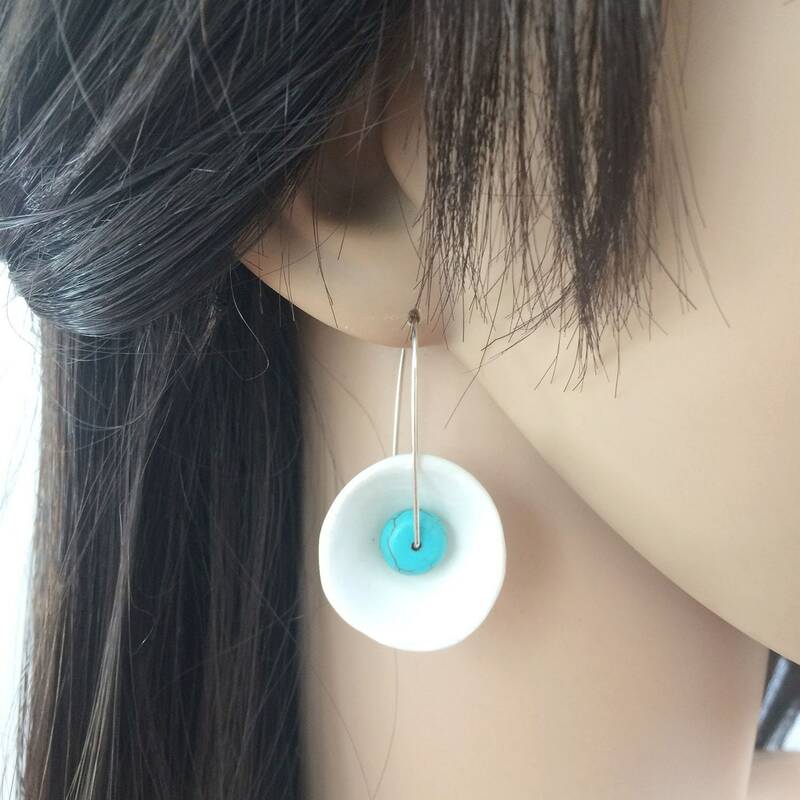 Hand-molded porcelain earrings with a modern design. 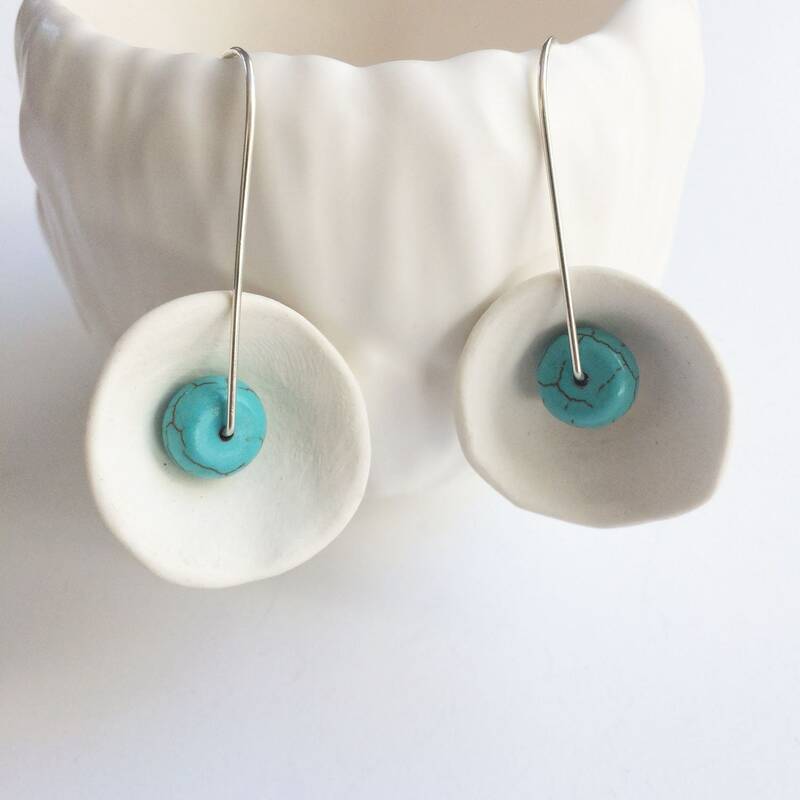 Porcelain molded by hand. 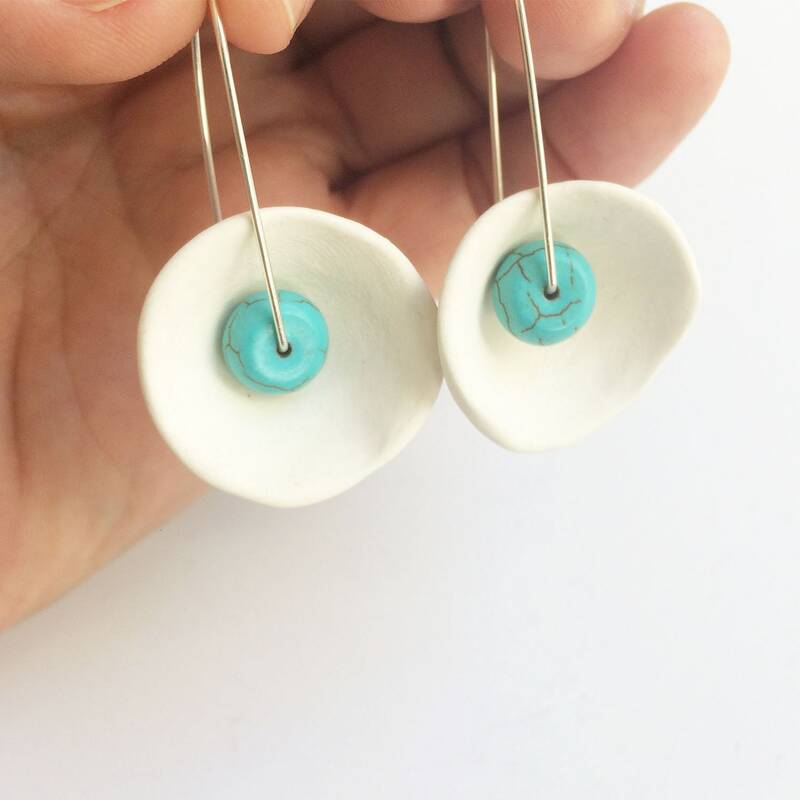 Concave and irregular shape. 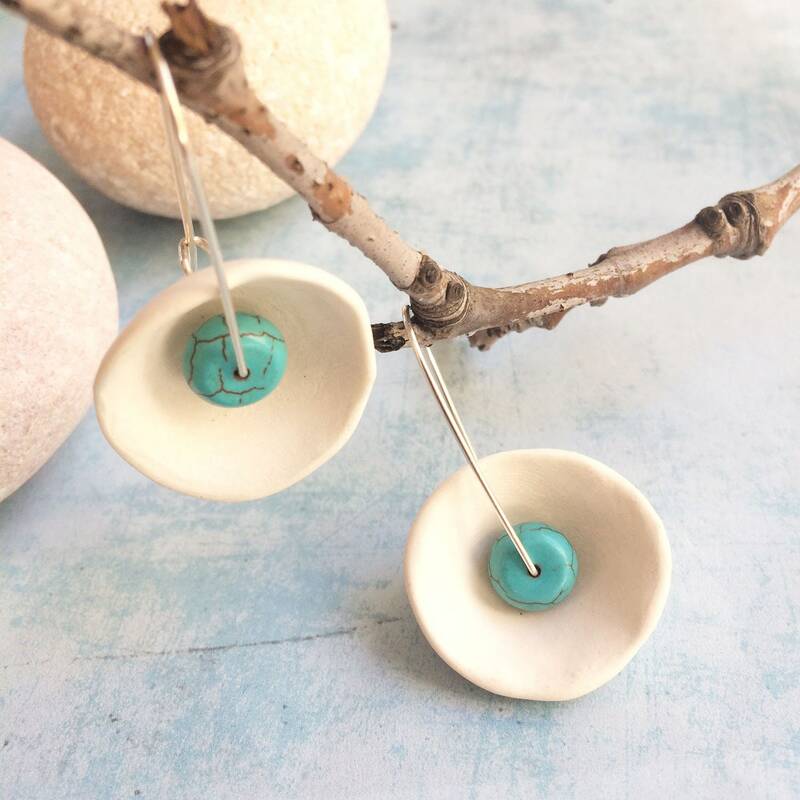 Porcelain fired at high temperature without glaze. 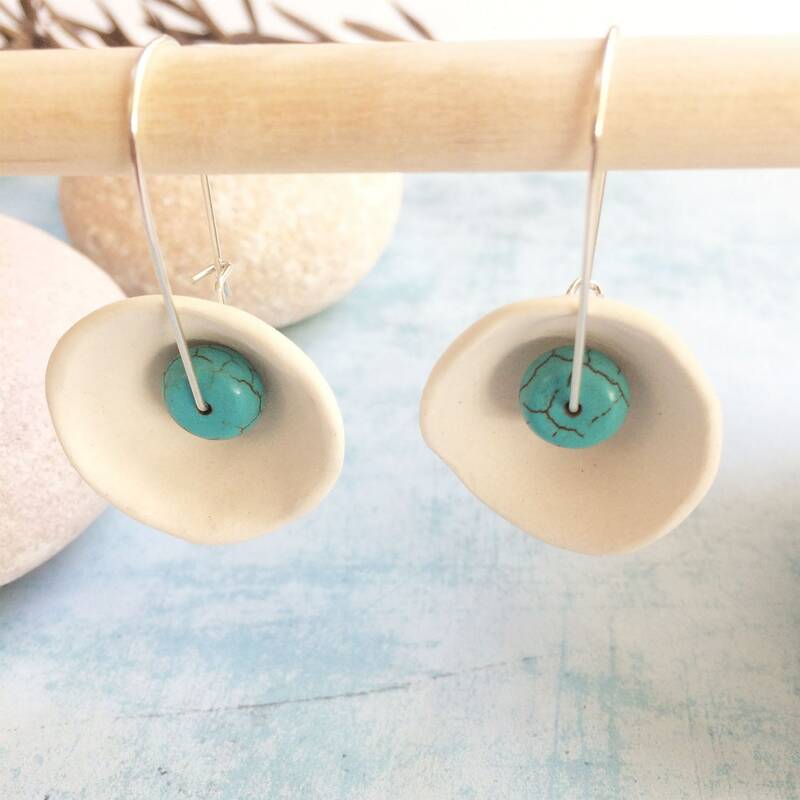 You can feel the natural texture of the clay.